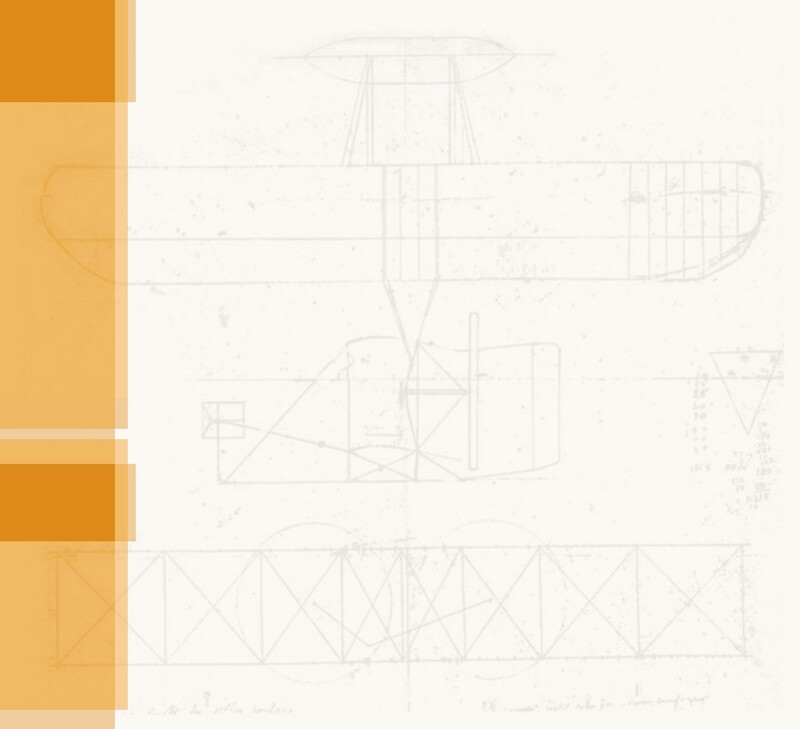 he Wright Brothers were the sons of Milton and Susan Wright. Milton was the son of a pioneer, a minister in the Church of the United Brethren, and a professor of theology. Susan was the daughter of a carriage maker who had converted to the United Brethren faith when she was 14. Milton met Susan at Hartville College, Indiana in 1853, where he was working and she was a student of literature. Both shared a love for learning for the sake of learning -- Milton augmented his theology training with algebra and Greek, while Susan not only excelled in literature, but also math and science. After a long courtship, Milton asked Susan to marry him and accompany him to the Oregon Territory where the United Brethren church had assigned him as a teacher and a missionary among the mining camps. She did not go with him to Oregon, but agreed to marry on his return. They married in 1859, fairly late in life -- he was almost 31, she was 28. Nonetheless, they had seven children together. Because of Milton's position in his church, the Wrights were a family on the move – the Wrights moved twelve times before coming to roost in Dayton, Ohio. The first son, Reuchlin, was born in a log cabin in 1861 near Fairmont, Indiana where Milton was traveling and preaching on the church "circuits." 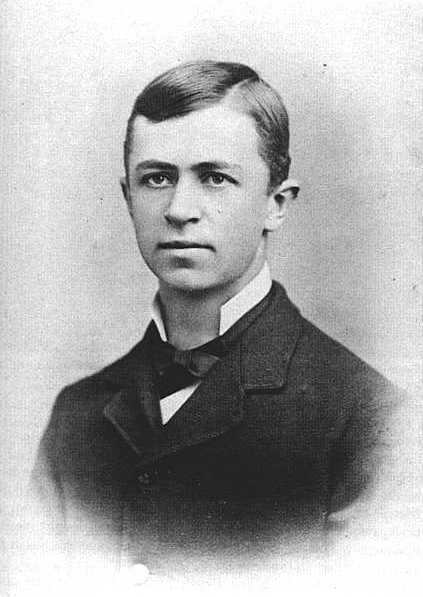 The second, Lorin, was born in 1862 in Orange Township, Fayette County, Indiana. 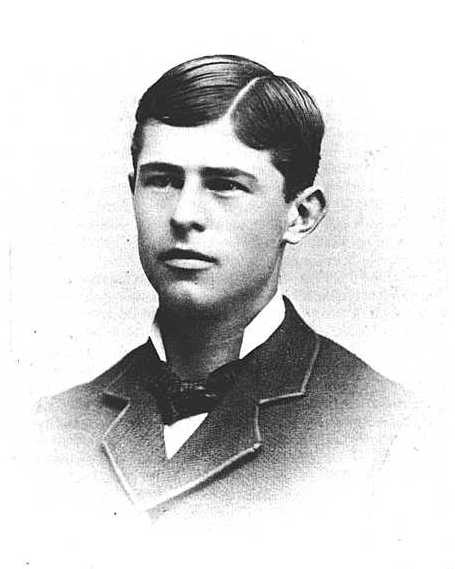 Wilbur was the third son, born in 1867 near Millville, Indiana. The Wrights moved to Dayton, Ohio in 1870 when Milton was chosen to edit the church newspaper, the Religious Telescope – a position which thrust him to prominence within the United Brethren and eventually got him elected as a bishop. Soon after they arrived, Susan gave birth to twins, Otis and Ida. Ida died at 13 days and Otis lived only 18 days. 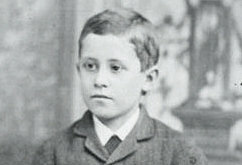 Orville, the sixth child, was born in Dayton in 1871. 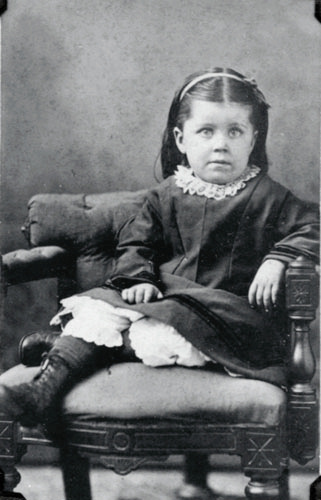 The youngest, Katharine -- and the only surviving daughter -- was born in Dayton in 1874 exactly three years after Orville. They shared the same birthday, August 19. None of the Wright children had middle names. Instead, their father tried to give them distinctive first names. 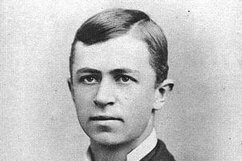 Wilbur was named for Wilbur Fiske and Orville for for Orville Dewey, both clergyman that Milton Wright admired. They were "Will" and "Orv" to their friends, and "Ullam" and "Bubs" to each other. In Dayton, their neighbors knew them simply as the "Bishop's kids." Perhaps because they moved around a great deal and never developed long-lasting friendships with people outside the family circle, the Wright siblings were very close. This was especially true of the three youngest – Wilbur, Orville, and Katharine. Reuchlin and Lorin eventually married and had families of their own, but the three youngest lived at home through most of their adult lives. Wilbur and Orville often tackled major projects together. People who had occasion to watch them work in later life often remarked that the task at hand proceeded quickly with a minimum of conversation, almost as if they knew each other's minds. On several occasions, Wilbur explained that he and his brother had been "associated in all hopes and labors, both of childhood and manhood." Milton Remembers -- Bishop Milton Wright remembers Will and Orv as young boys. 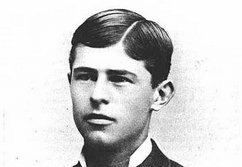 Reuchlin Wright in 1878, age 18. 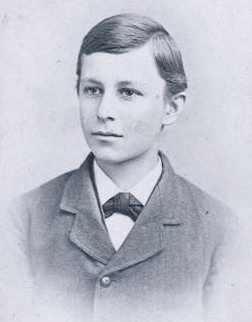 Lorin Wright in 1878, age 16. 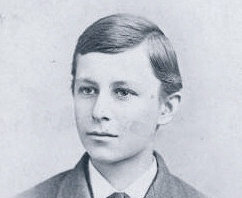 Wilbur Wright in 1878, age 12. 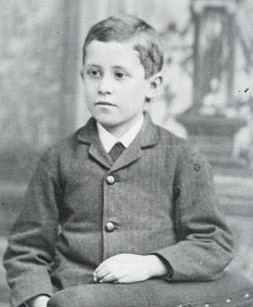 Orville Wright in 1878, age 7. 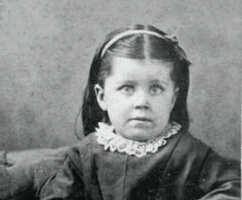 Katharine Wright in 1878, age 4.